"Parallels Remote Application Server Cloud Platform Design VMware ESX"
VMware provides the hypervisor hosting platform to the virtualized desktop and infrastructure server instances. 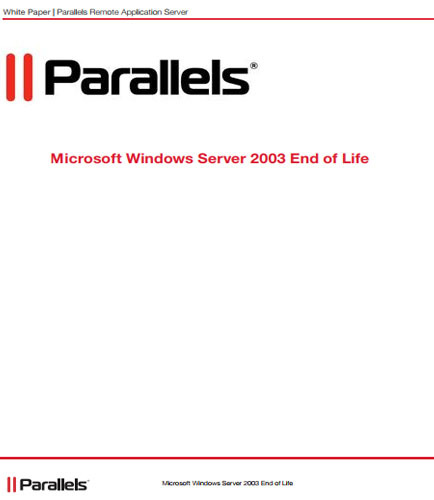 The purpose of this White paper is to provide design information that describes the architecture for the Parallels Solution which is based on Parallels Remote Application Server Hosted Shared Applications (RDSH) and Parallels Hosted Virtual Desktop (HVD) FlexCast models. The solution is built on the Nutanix Enterprise Cloud Platform, NX-3060 nodes running VMware® to support the virtualized environment . Virtual Reality (VR) is the next frontier from smartphones and computers, jockeying to dominate the IT world. VR is an imitation of reality created through a computer-generated environment that gives an experience of a different world. In technical terms, the VR is the simulation of a three-dimensional image that can be interacted in a seemingly real or physical way by a person through special electronic equipment, such as a VR headset embedded with a screen or gloves fitted with sensors.